That, there, is Episode 1 of Hyperforce. It airs every Tuesday Night starting at 6PM Pacific Time on Hyper RPG's Twitch.tv Channel. The Episodes are uploaded to Hyper RPG's YouTube Channel every Tuesday. The Episode uploaded is the previous week's Episode. Please go watch it live, if you can. If not, go watch the Episodes on YouTube. Give 'em a like! Saban has said if this series is popular enough, he would consider allowing Hyper RPG to release the Rulebook and Cards and Dice and stuff for the public. Personally, I'm loving this series so far. Paul Schrier is hilarious without being the comedic relief. Actually, he's the 'straight man' and it works beautifully. The five rangers work well together and are all funny and incredibly clever. Last edited by Shadow Ranger; 11-04-2017 at 03:21 PM. I have saw the first 2 episodes of Hyperforce. The second episode suppose to take place during season 2. I like how Ernie was brought back in this episode, even if we viewers didn't see him. They fought Rita's Putties, a monster made of candy corn, and one of the main villains of the series. I wondered if Jack would live pass the next episode. If he does, how it will happen? So I'm curious... as there are no other posts in this thread aside from mbozzo... has anyone else but us watched Hyperforce? If not, you should. It's REALLY good. Best Power Rangers series EVER. If you have, I'd like to see some discussion in this thread. 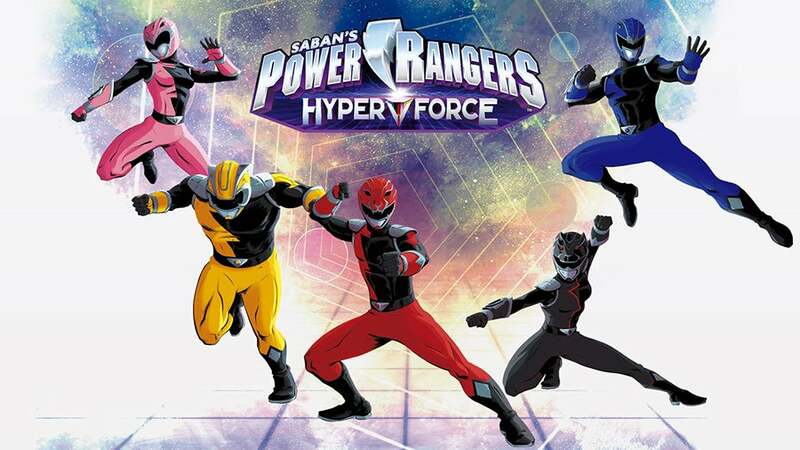 Let's talk about Hyperforce, people! I'm not up to date, but I have watched some. This is what RPGs should be, rather than the forum games we always have. And I hear it's coming out after Hyperforce ends, so that's a thing. Oh have they confirmed that? Sweet! Also, watch more Rage! It gets better the further along you get! Best Power Rangers EVER! This has two little things that Saban and even Disney failed to grasp with PR called Character Development and Great Acting! Also, better Anniversary Series than Megaforce! Last edited by Shadow Ranger; 04-23-2018 at 10:16 AM. Shadow Ranger is selling me on it. I saw an announcement a long time ago, but never tried to jump into it, but coincidentally today I watched the first episode and the episode with Jason David Frank and it can be quite entertaining!